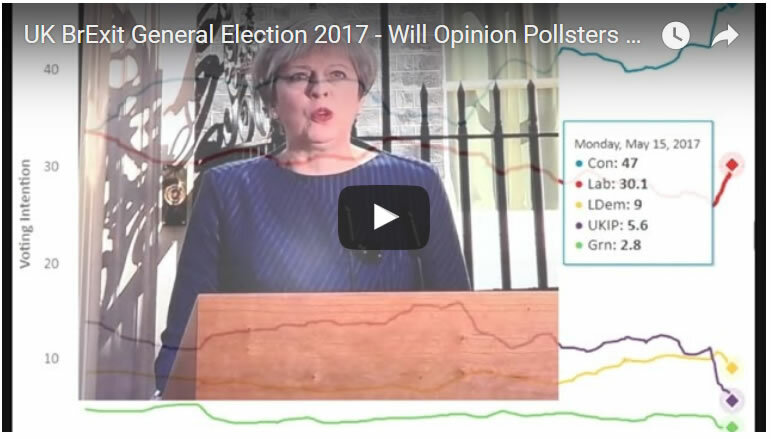 UK General Election 2017 BrExit Factor Hidden from Pollsters Swing? The pollsters are well practiced at playing this smoke and mirrors game and thus always have their get out of jail card to fall back on, one of 'the margin of error' which tends to be 3% to 6%. Which means even though they keep getting election outcomes BADLY WRONG. 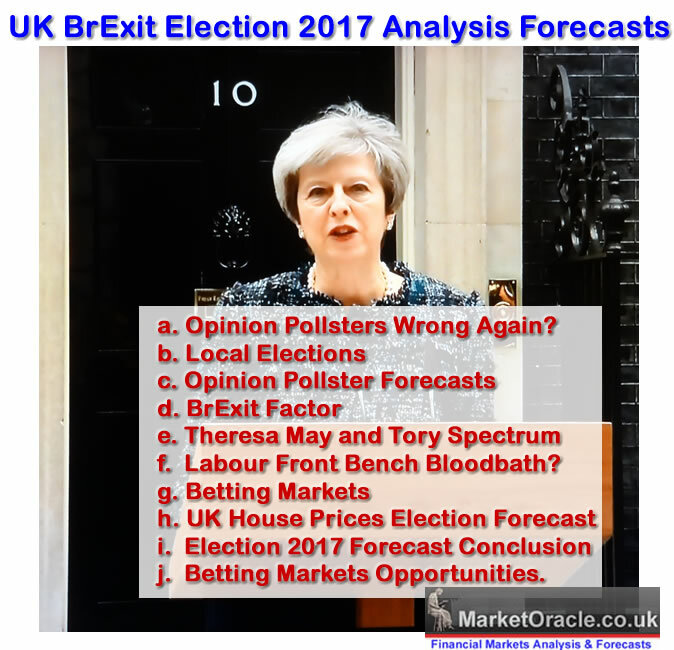 As for instance Yougov on the close of polls on the EU referendum night gave the referendum to REMAIN on 52% against LEAVE on 48% when instead the reality was the exact opposite as I covered in my following comprehensive video analysis of the accuracy of pollsters across elections of the past few years. 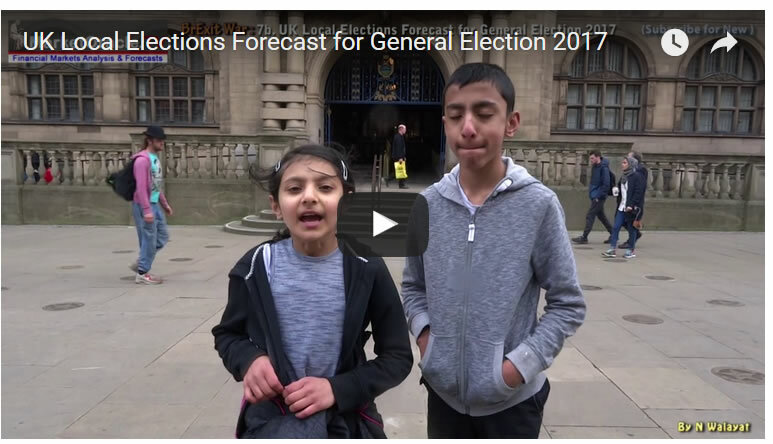 The video is set to play a clip shortly after the polling stations closed on June 23rd 2016, when Yougov declared REMAIN had won the referendum. And not many months AFTER the debacle of getting the EU Referendum wrong the polling industry would once more set themselves up for MEGA-FAIL by collectively declaring that Hillary Clinton would win the US presidential election. 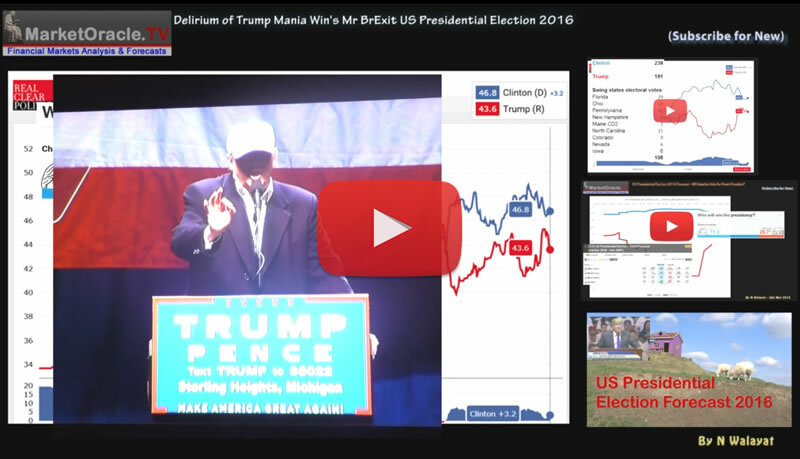 So having learned nothing from their earlier disaster once more remained completely ignorant of the BrExit factor and what it meant for the outcome of the US Presidential election as I covered in my following comprehensive video of why Trump won. And in this election the Conservatives are definitely the beneficiaries of the Brexit factor despite being the party of government, which is self evident given their poll lead. HOWEVER, this is already the making Brexit a success election. So I am not sure that there is any invisible swing out there in THIS election i.e. unlike 2015 there are unlikely to be many shy tories out there. In fact it has been apparent from the mainstream presses coverage of the voting intentions of the public questioned just how open people have been where some despite having never voted Tory before, in this election they would be voting for Theresa May.